To help alleviate some of the inconvenience, we now have a new (and very performant) API that makes adding and removing class values from an element ridiculously easy. This new API is affectionately known as classList, and in this article, you will learn all about it. 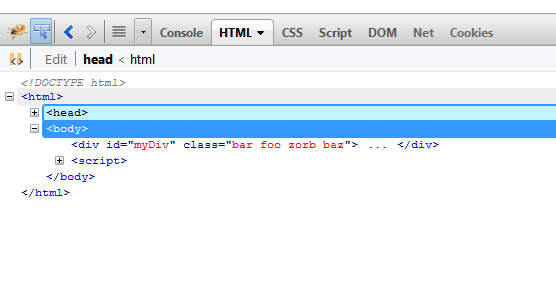 From looking at the markup, we can see that this element has a class attribute with the bar, foo, and zorb values set. If you want to access these class values using the classList API, simply call it on the DOM element whose class values you want to inspect or modify. Yay! Isn't this like the most exciting thing ever? Right now, especially if you've used the className approach for working with class values before, you are probably not impressed. That is because what you are seeing is your classList API at its most modest self. Once you get to know it better, you'll realize that the classList API provides a handful of methods that will impress you a whole lot. What these four methods do may be pretty self-explanatory from their names, but let's look at them in further detail. If you specify an invalid class value, the classList API will throw an exception and not add it. If you tell the add method to add a class that already exists on the element, your code will run without exception (ha!) but the duplicate class value will not get added. After this code executes, the foo class value will be removed. What you will be left with is just bar and zorb. Pretty simple, right? The toggle method, as its name implies, adds or removes the specified class value on the element each time it is called. In our case, the foo class is removed the first time the toggle method is called. The second time, the foo class is added. The third time, the foo class is removed. You get the picture. This method checks to see if the specified class value exists on the element. If the value exists, you get true. If the value doesn't exist, you get false. As you can see, the classList API provides you with almost everything you need to add, remove, or inspect class values on an element very easily. The emphasis being on the word almost. In the following sections, I provide snippets for some common cases I run into that go beyond what the classList API provides by default. From the last line, notice that I can check the length property on classList to get a count of all the class values that currently exist on the element. This is possible because your classList is actually a DOMTokenList which provides all of the helpful methods you saw above in addition to the length properties and more. You can see more about the DOMTokenList in the W3C Spec for it. The end result is that the addmany method will take each class value you specify and add it to list of classes on the element. Because the addmany method uses the built-in add method internally, you get the error and duplicate checking for free. The end result is that the class values you specify, if they exist on the element, will get removed. 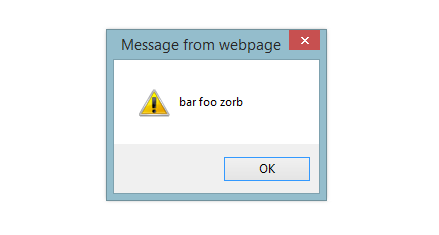 In our example, the foo and zorb class values will get removed. All that is going to be left on our div element is the bar class value. The classList API is a small but very helpful addition to the giant bag of improvements that is HTML5. Remember, this API isn't just providing some convenience methods that save you time from writing a few lines of code. Because all of the functionality for adding, removing, toggling, and checking if a class value exists is built-in and provided by the browser, you get much faster performance than you would get by reimplementing this functionality yourself. The following Performance section puts some numbers behind my words. With all of that said, this API is recent enough where it isn't supported by all browsers just yet. According to caniuse, the classList API is supported on over 75% of all browsers. If you care about older browsers and wish to introduce them to the joys that is classList, you can use the following shim. The idea for this tutorial came from senocular who reminded me of classList's existence in his awesome simplification of my Filtering Items example.